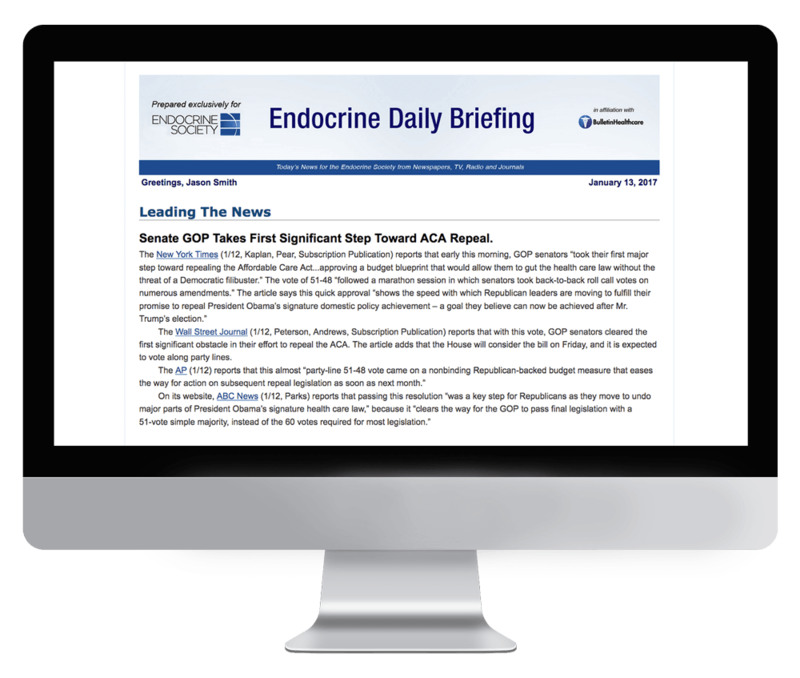 Endocrine Daily Briefing is an exclusive member benefit. Sections in the briefing include: Legislation and Policy, Research, Practice Management, Quality and Safety, and Public Health. Founded in 1916, Endocrine Society is the world’s oldest, largest, and most active organization devoted to research on hormones and the clinical practice of endocrinology. Subscription to Endocrine Daily Briefing is exclusively limited to Endocrine Society members. If you are a member of Endocrine Society and would like to receive this briefing, please reach out to the association directly.